Besides GDP, there exists a type of wealth that cannot be measured as "flow"
The topic of welfare, well-being, public happiness or social well-being has been and still is at the centre of the Italian tradition of civil economy. In recent years there was a significant growth of the debate around the need to go beyond GDP or, according to some, to start using other indicators telling about the other dimensions of well-being as well. However, in this coupling of GDP with other, non-economic indicators there is a serious risk. The emerging scenario is very similar to what happens in football. After the game, some statistical data are shown on the screen with a number of indicators: the percentage of ball possession of the two teams, the fouls made and sustained, the number of shots on goal etc. But, located on top of the statistics tables, the number of goals is the indicator that dominates: it is the only thing that really matters, and that no statistics on its side can change, not even remotely. 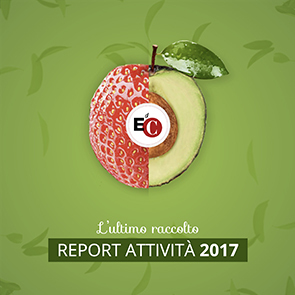 Human development, ecological footprint, Bes (short for "benessere equo e sostenibile" - Equitable and Sustainable Well-Being; a category created by the Italian National Institute of Statistics) and other similar indicators today are very much like ball possession and the number of shots on goal, which act only as 'contours' for the number of goals scored (i.e. GDP). How to get people take other indicators of well-being really seriously and overcome the idea that GDP is the only important figure in the economic game of our society? First, a bit of history. GDP, as we know it today, is a relatively new concept, since it is linked to the development of national accounting starting from the thirties of the twentieth century. Its actual founding fathers (or grandfathers) were the so-called Physiocrats, French scholars of the mid-eighteenth century who were convinced that the economic strength of a country is not measured by its capital (assets) or value stocks (as it had been thought until then, as the wealth of a nation had been largely based on the amount of gold owned by it). Instead, they said that what really mattered in terms of wealth was flow, i.e. income. Since then we have more or less all been thinking that a people is not made "rich" by its wealth of land, raw materials, coastline, museums, cathedrals, cultural or human capital, but by the ability to "turn over" those capitals in order to 'make them profitable' and generate new types of flow. Today we know, and in Italy we see more and more, that if a people is not able to ensure that its funds are used in productive ways, it remains poor, even if its citizens are sitting on top of gold mines. The annual flow of new wealth is also a creation of the physiocrats: it serves to tell us how rich a national community is. So before doing away with GDP, let us treasure this value in its DNA: a person, a community, a region remains economically poor if it is not in the (institutional, cultural and political) conditions to transform its capital into income. But when a country - despite the capital - can no longer produce revenue, the income kills the profit, and societies start to decline. Other indicators or more sophisticated economic indicators are very useful in these cases, but let's not forget that without a flow indicator, we cannot measure our ability to value our capitals, to see if we are enhancing or depleting them over time. For this reason, I believe that a major task in terms of more sophisticated measurements of the economic and social development of a country would be not to rely on GDP only but to consider some additional, but equally trusted and relevant indicators that year after year are capable of grasping the state of health of our capitals, especially that of our social, environmental, cultural, relational and spiritual capital. Despite the important lesson of the Physiocrats, it is still true that revenue (flow) is born by capital (stock), and if capital deteriorates or expires, revenue decreases and eventually disappears. In the era of the common goods that we dramatically entered with the third millennium, stocks are expected to return to occupy centre stage in the economic, social and political world. The environmental issue, but also the relational and social (migration, social inclusion, terrorism...) ones, and other topics that have become central again in the era of the common goods, are all matters of stock, because they are linked to forms of capital, whether present or absent - we now know from many studies how much intolerance and racism are connected to the lack of cultural and artistic 'capital' in people. But there's more. Excessive emphasis on creating flows, including large financial flows that dominate by far among the flows of goods and real services, is producing many serious effects on the stocks of our economies and our planet. We must learn how to properly measure our assets, which, like non-renewable energy, are undergoing severe impoverishment precisely because of the great invasion of income flows (measured by GDP). Finally, at the root of any development of new measurements, there is a more general cultural and political question that involves the business world directly. As long as the only indicators for the success of companies (especially large ones) are the profits achieved and the indicators consulted are purely economic, and as long as the "social reports" are glossy publications handed over to the stakeholders during corporate parties, without the 'social' data having any relevance in making important choices (the reconfirming or new appointment of managers, members of the board etc. ), it will be impossible for our society to value other indicators apart from GDP.